While MySQL has turned up among high profile users such as Yahoo!, NASA and the U.S. Census Bureau, the rising popularity of this open source database is especially keen among users with little database experience. These days, even a small organization or web site has uses for a database, and MySQL is an obvious choice. Affordable and easy to use, MySQL packs the power, speed and efficiency that enable it to rival expensive, proprietary database solutions. Yet, even if you know the basics, anyone without practical MySQL experience—novices and skilled DBAs alike—might stumble over common database-related tasks. Fortunately, there’s a sensible shortcut. MySQL Cookbook provides a unique problem-and-solution format that offers practical examples for everyday programming dilemmas. For every problem addressed in the book, there’s a worked-out solution or «recipe»—short, focused pieces of code that you can insert directly into your applications. 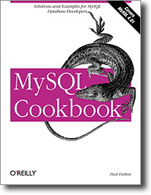 But MySQL Cookbook is more than a collection of cut-and-paste code. You also get explanations of how and why the code works, so you can learn to adapt the techniques to similar situations. 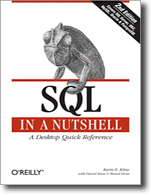 This learn-as-you-go resource will help users of all levels exploit MySQL more fully. 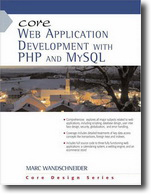 MySQL Cookbook supplies you with an armory of ready-made techniques for specific problems so that, even if you’re an experienced MySQL user, you don’t have to write everything from scratch.